HR360 is the one website you need to guide you and your company through hiring, managing and terminating employees while complying with the law. From supervising employees, staying current with Health Care Reform, to complying with federal and state labor laws, HR360 stays with you every step of the way. 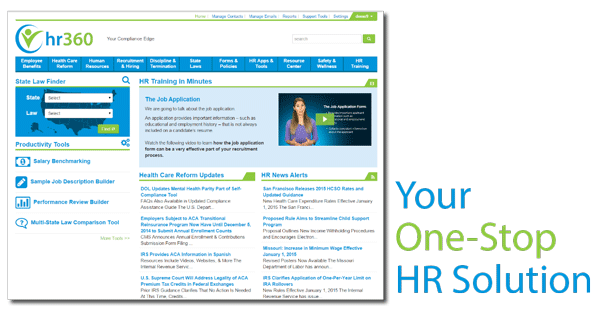 Contact us to learn how you can access HR360.